I love this Sweet Life stamp set from Close to My Heart. 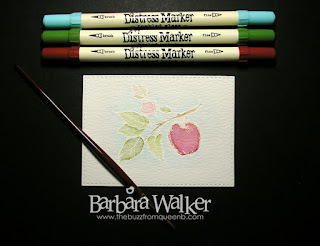 The images are perfect for watercoloring. Today, I chose to use the apple and branch. 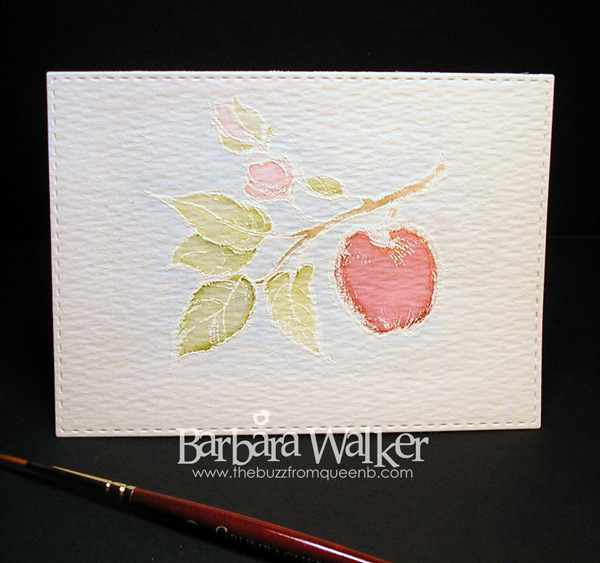 I stamped the image onto a piece of watercolor cardstock and embossed it with fine detail white embossing powder. 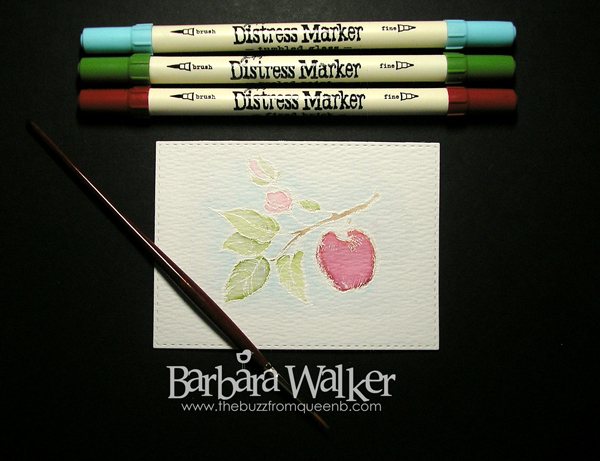 Then I watercolored it with Distress Markers. I applied a little of the marker onto the image where I wanted the color to be the darkest and then added water. Super easy, super relaxing. 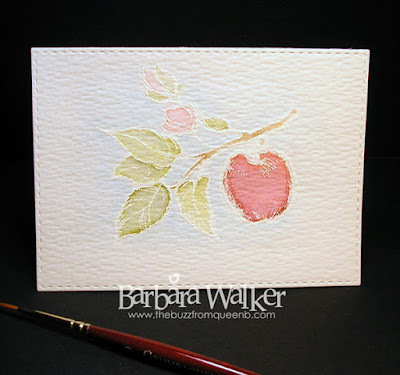 The embossing powder keeps the colors in their own sections, which results in a nice, neat watercolored image. And that is it for me this evening. Thanks for stopping by! Looks lovely, Barb! I have to go through my old CTMH stamps and see what beauties I might possess that would work for this idea. I don't have those markers, but I do have lots of different inks. :) Good for you for relaxing with what works for you. Hugs!